A soldier who was shot and killed in Iraq died because of "unforgivable and inexcusable" delays in providing body armour to troops, a coroner has ruled. 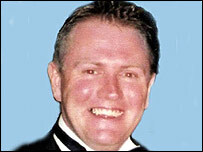 Sgt Steven Roberts, 33, from Shipley, West Yorkshire, was shot dead in a "friendly fire" incident as he manned a checkpoint in March 2003. He had been ordered to give up his enhanced combat body armour three days before his death, due to shortages. The MOD said the coroner's view will be examined as a "matter of urgency". Oxfordshire assistant deputy coroner Andrew Walker recorded a narrative verdict at Sgt Roberts' Oxford inquest. Sgt Roberts, originally from Wadebridge, Cornwall, was the first British soldier killed in action in Iraq. The inquest heard delays supplying the £167 piece of kit meant more than 2,000 soldiers went into combat without the new armour. Mr Walker said: "To send soldiers into a combat zone without the appropriate basic equipment is, in my view, unforgivable and inexcusable and represents a breach of trust the soldiers have in those in government. "I have heard justification and excuse and I put these to one side as I remind myself that Sgt Roberts lost his life because he did not have that basic piece of equipment. Sgt Roberts died after he was attacked by a stone-wielding Iraqi man while manning a checkpoint outside the southern city of Az Zubayr. An Army Board of Inquiry into his death found that the pistol he tried to shoot the Iraqi with failed and he was shot by a comrade in a tank who was trying to protect him but did not know his high-powered machine gun was inaccurate at short range. If he had been wearing the body armour that was meant to be issued to troops before battle commenced, he would have survived, pathologists found. Speaking after the hearing, Sgt Roberts' widow Samantha said the verdict and changes in military procedures would be her husband's "legacy". 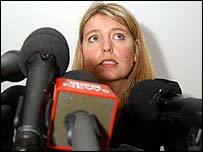 "We have heard from Steve himself, who said it was disheartening to go to war without the correct equipment. "The coroner found failing in training and command in the run-up to and after the shooting, but the single most important factor was the lack of enhanced combat body armour. "If Steve had had that, he would be with us today." The MoD said it recognised that supply failures had contributed to Sgt Roberts' death. It said in a statement: "We have already acknowledged that if Sgt Roberts had been wearing properly fitted and enhanced combat body armour at the time of the incident he would be alive today. "We take the coroner's comments extremely seriously and we will examine them as a matter of urgency." The MoD has previously said that from early 2004 its policy is that all personnel were issued with "their own personal set of enhanced combat body armour" before their deployment to Iraq or Afghanistan. Commenting on the inquest, Shadow Defence Secretary, Dr Liam Fox, said: "To send soldiers into combat without the appropriate equipment is utterly inexcusable and in a more honourable government it would have resulted in resignations. "The story of this government's defence policy is too little, too late. We still hear stories which reinforce the point that Tony Blair's government is all too willing to commit our forces to battle without committing the appropriate resources to our armed forces." A narrative verdict is one in which a coroner simply records the circumstances surrounding the death.